If you’re visiting Saint Louis, MO for a month or more, corporate housing could be the welcoming alternative you’re looking for. St. Louis Corporate Housing gives you the opportunity to tailor your stay to meet all of your personal and professional needs. Here are some of the biggest things that hotels don’t want you to know about corporate housing. When searching for a hotel, it’s easy to find a budget-friendly room in a subpar location. But why sacrifice on location when there is better way? Corporate housing solutions are often more practical because they offer residential dwelling rather than restricting the search to commercial areas. 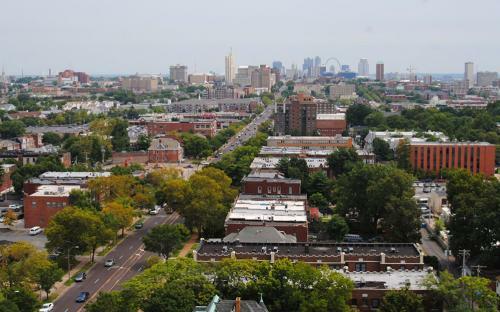 Thanks to our wide reach and long-standing relationships in the community, St. Louis Corporate Housing can offer quality accommodations without compromising on convenience. Have you ever been promised a “room with a view,” only to find that your view is less than charming? A big benefit of corporate housing is that you get to choose the layout and features you want, down to the neighborhood you live in. Unlike staying in a hotel room, you have the flexibility to choose the ambiance around you. Whether you want to overlook night life or experience a more quiet retreat, our corporate housing St. Louis team has you covered. Living in temporary housing comes with some serious perks. Instead of settling for what is available, you can choose the features and amenities you would like in your apartment. When you choose corporate housing, you get a say in what goes into your temporary rental – all the way down to the décor used in the apartment. Although you’ll be given all the basic amenities you need to get started, you can also choose to add in extra luxuries. Upgrade to a king size bed, include some patio furniture, or get the added bonus of a dedicated office space. St. Louis Corporate Housing finds out what is important to you and then works to find an apartment that will fulfill all of your wants and needs. Who needs room service when you can get a fully stocked fridge with hand-picked meals ahead of time? Although some hotels allow pets, the options are very limited and often costly. St. Louis Corporate Housing will help you find a pet-friendly apartment so you don’t have to leave your furry friend behind. Moving is already a major stressor for most people – there is no need to add the extra burden of finding your pet a temporary home. In many cases, we can even arrange dog walking services to completely lift the burden of traveling with a companion! You might think that hotel living is an easier option because you don’t need to deal with cleaning and maintenance. However, corporate housing was designed to be a smooth transition from your permanent home. All of our properties are professionally managed, so you can rest assured knowing that your stay will be relaxing and enjoyable. You can even request our premium services to completely remove housekeeping duties, such as maid service or valet dry cleaning. The next time you’re traveling in the Saint Louis region, put some serious thought into what the best housing option is for you. St. Louis Corporate Housing can meet and exceed all of your expectations by offering quality, cost-effective accommodations. There are several perks of choosing corporate housing, but the biggest benefit is that you have a voice in the process. Instead of staying in a hotel that is cramped, impersonal, and limited on amenities, give our spacious corporate housing a try. Contact our St. Louis team to get started on your journey.